Today I thought I would try the creeper-look! ^^ Haha! Free hugsssssss….? 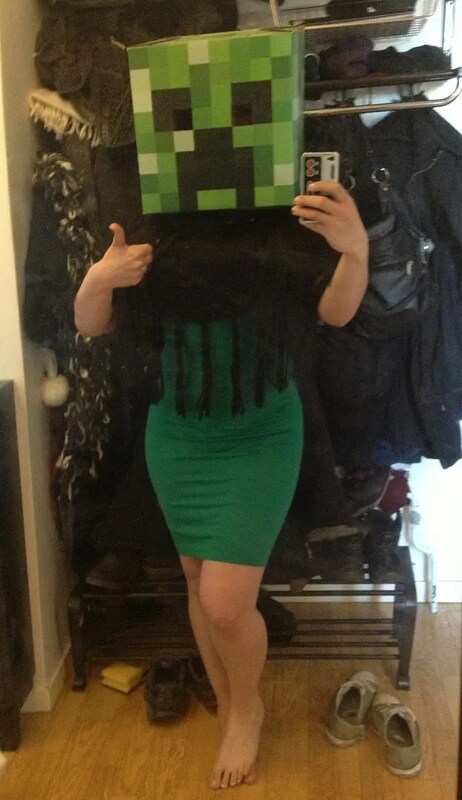 This entry was posted in "Outfit of the Day", Uncategorized and tagged creeper, day, minecraft, of, Outfit, The by Jenny. Bookmark the permalink. lol love the dress on you the box is hmm yea…. *Takes a second broom* DIE DUST DIE!! !